Day 01: Arrival at Paro Airport. Transfer to hotel. In the evening an orientation talk & video show on Bhutan. Overnight at hotel. Day 03: Excursion to the Taktsang Monastery . Overnight at hotel. Day 04: Drive to Thimpu. Sightseeing of the valley. Overnight at hotel. Day 05: More sightseeing. Cultural program in the afternoon. Overnight at hotel. Day 06: Drive to Mendegang. 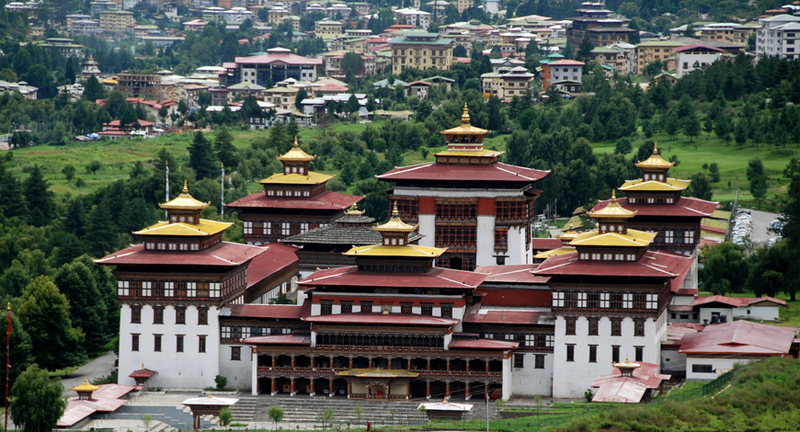 Sightseeing of the Punakha & Wangdi-valleys. Overnight at lodge. Day 07: Excursion to the Phubjikha Valley. Overnight at lodge. Day 08: Drive to Bumthang valley. Overnight at lodge. Day 09: Bumthang valley sightseeing. Evening cultural program. Overnight in hotel. Day 10: Drive to Mongar. Overnight at lodge. Day 11: Drive to Tshigang. Sightseeing of the township . Overnight at lodge. Day 12: Excursion to Tashi Yangtsi. View the highly revered Chorten Kora. Overnight at lodge. Day 13: Drive to Samdrup Jongkhar. Overnight at lodge. Day 14: Onwards to Guwahati for departure from the country.